Your Move Chris Stonock is an independently owned estate agency franchise based in the North East of England with branches in Chester-le-Street, Consett, Durham, Houghton-le-Spring, Low Fell (Gateshead), Rowlands Gill, Washington and West Denton (Newcastle upon Tyne). 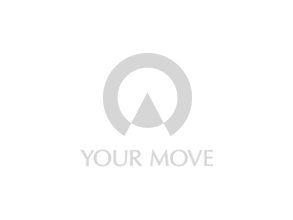 This Your Move franchise offers a range of comprehensive property services including Estate Agency, Lettings including property management and Financial Services. Chris Stonock is a Chartered Surveyor and Estate Agent with over 35 years’ experience in the local property market. For over 15 years Chris was Regional Director of a national estate agency chain where In 2007, Chris acquired part of this business in a management buy-out. In 2010 the network joined Your Move and commenced trading as Your Move Chris Stonock – providing expert local knowledge with the support of the national network. At Your Move Chris Stonock we are heavily influenced by growth in digital and online estate agency but we maintain our local branches on your high street. Our people are experienced professionals with valuable local knowledge, which is combined with a proactive and enthusiastic attitude to keep your sale moving. We are an independently owned and locally operated but have a genuine national reach as part of Your Move, the UK's largest single branded estate agency network with over 250 interconnecting offices. A passion to deliver an outstanding customer experience is confirmed by over 200 5 star reviews on independent review site Trustpilot since January 2018. Did you know, 90% of homemovers start their search online? At Your Move Chris Stonock, our online coverage is unprecedented including listing on all the major property portals like Rightmove and Zoopla and your-move.co.uk. Whether you're thinking of selling or letting now or just curious, use our FREE instant online valuation service and find out how much your house is worth today.